The statistic shows the average peak connection speed of world's fastest cities in the fourth quarter of 2011. During that period of time, the city Tokai in Japan placed sixth with an average peak connection speed of 49.8 Mbps. The Romanian city Timisoara was the only non-Asian country in this ranking. 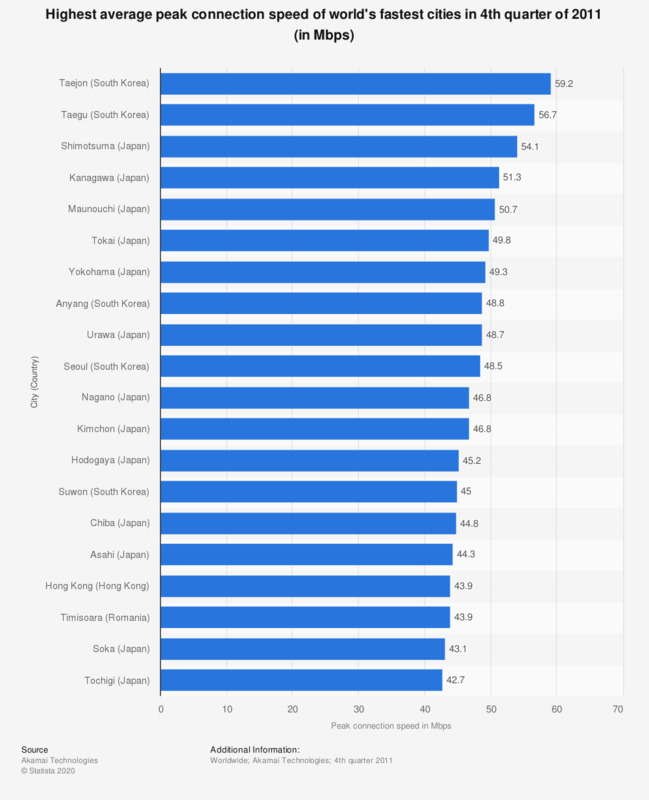 Unsurprisingly, South Korea ranked first in terms of highest average internet connection speed worldwide.